If you have a friend or family member who loves wine, but lives in another state, you may be inclined to ship some over to him or her as a gift. But sending that bottle of Zinfandel across the country isn’t so straightforward. 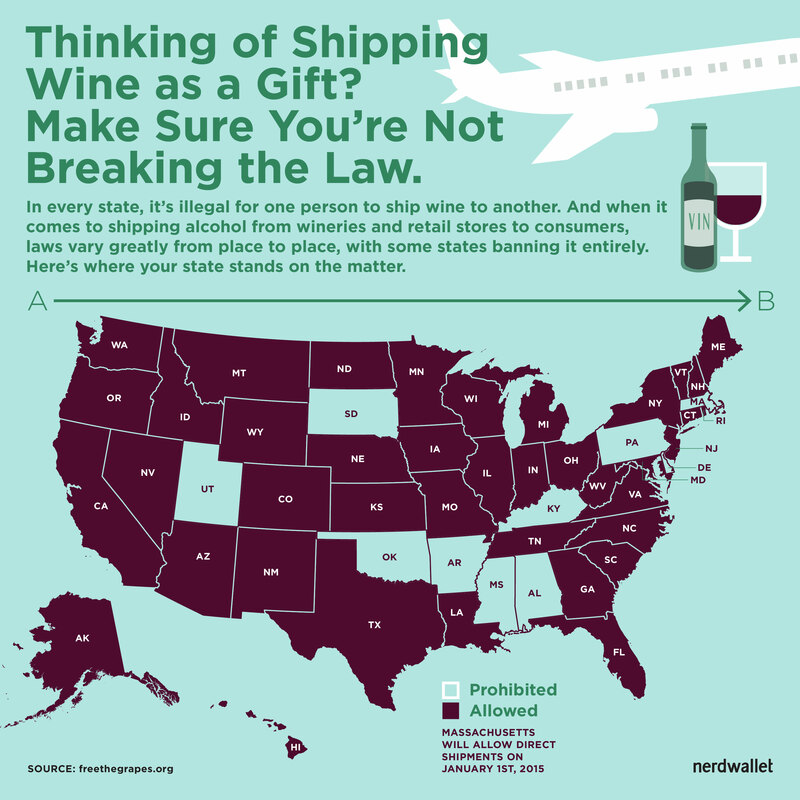 Wine laws vary greatly from place to place, with some states banning alcohol shipping to consumers. Here’s what you need to know about shipping a wine gift. No states technically allow shipping between two individuals. “You can’t do it through the U.S. Postal Service, while FedEx and UPS say you must be a certified shipper,” says Jenny Benzie, an advanced sommelier and wine consultant who owns retail shop Épernay Wine & Spirits in Nantucket, Massachusetts. She adds that in most states, there are different restrictions depending on who is shipping (a winery vs. retailer) and whether it’s going in-state or out of state. Jessyca Frederick, founder of WineClubReviews.net, says there are around 30 “Common Carrier” states. “These are the places where FedEx doesn’t have to worry about licensing issues and will happily deliver booze,” she says. This means most retailers and wineries are willing to ship their goods to consumers in those states. But other states are trickier and have a multitude of restrictions, requiring certain licenses for those who want to ship wine. Some consumers in restrictive states find a third-party licensed wine shipper to skirt around the rules, but this takes some extra time and effort. For this to work, you’d have to call a winery, have them send the wine to a third-party shipper and then have the third party ship it to you. This entails finding a shipper that will work with you and a potential delay in your gift’s delivery due to the extra shipping step. Some states, like Utah, are completely closed to receiving wine shipments for consumers. South Dakota, Mississippi, Oklahoma and Pennsylvania are technically closed to consumer shipments, but some wine clubs have licensing arrangements in those states with distributors that allow consumers to receive wine. But considering all of the trouble you’d have to go through to ship your gift, you may want to buy the recipient in one of these states a gift card to an alcohol retailer in their area if possible. Even the states that allow shipping from almost anywhere often have quantity limits. For example, in Arizona, you can only order from wineries of a certain size, and consumers can only order two cases of wine per year. For the most accurate information, you’d have to look up each state’s laws. But The Wine Institute, a public policy advocacy group, is a great resource for understanding each state’s rules. Experts also recommend FreetheGrapes.com, which stays up-to-date with the ever-changing wine laws. Order directly from a winery (ideally in the same state). If your recipient loves a certain wine, call the winery directly to see if they can ship to them. If they can’t, call a winery in the person’s home state to see if they can send over the same or a similar type of wine. Use an online wine retailer. “There’s a huge amount of states that allow you to order online and get wine shipped to you, and most retailers are willing to ship almost anywhere,” says Keith Wallace, a sommelier who teaches wine shipping law at Drexel University and Wine School of Philadelphia. He adds that their prices are also usually better than going through wineries. Wallace recommends the following retailers for offering great prices and shipping to many states: Wine Woot!, Wine Library, WTSO and Wine Access. Wine clubs make it easy for consumers to deliver a gift directly to family members or friends, says Adria Jover, CEO of online wine club Glassful. He says Glassful has the permits to ship to most states and market access that many retailers don’t have, making it likely that his or a similar wine club will be able to ship to your destination when a winery can’t. Consider that a wine club isn’t necessarily going to save you money, as Jover says wine clubs like his don’t aim to offer high discounts, but rather quality products. But they are suitable if you don’t know much about wine or want an easy way to ship wine somewhere else in the country. If the wine clubs you are looking at don’t clearly indicate which states they ship to on a shipping policy or FAQ page, consider using a site like Frederick’s WineClubReviews.net that clearly lists which clubs ship to which states. It may take a little trial and error, but if you don’t live in one of the states with heavy restrictions, there should be a way to get your gift delivered. 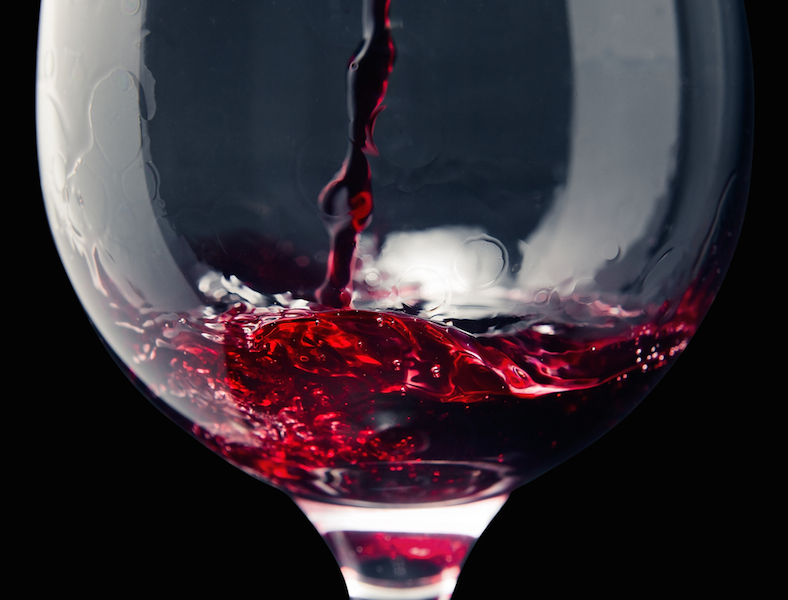 Wine glass image via Shutterstock.